The Opportunity Zone program is a nationwide initiative ​administered by the U.S. Treasury created under the 2017 Tax Cuts and Job​s Act. The program provides federal tax incentives for investment in distressed communities over the next 10 years. Areas designated as Opportunity Zones will be able to reap the benefits of capital gains to help redevelop underserved communities. 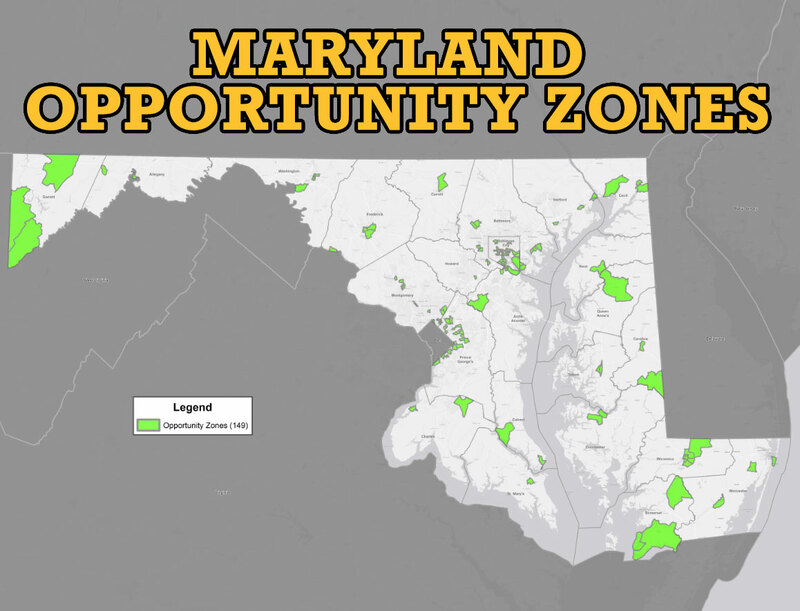 In January 2019, Governor Hogan signed Executive Order 01.01.2019.01, establishing the Maryland Opportunity Zone Leadership Task Force. The task force, chaired by Lt. Governor Rutherford, will host regional summits throughout the state for local stakeholders to share information and discuss possibilities for Opportunity Zones. The task force will develop a State Opportunity Plan to align Opportunity Zone goals with state economic and cultural priorities, which will include partnering with local governments to effectively leverage local assets to fast-track investment and development. In addition, the Maryland Department of Housing and Community Development has created the Maryland Opportunity Zone Information Exchange, an online resource designed to attract capital to projects and businesses. This is the first comprehensive, interactive resource of its kind in the nation. The Exchange will serve as a virtual meeting place for investors, fund managers, property developers, new or expanding businesses, and local stakeholders. Open to the public, anyone can search and find the latest on Maryland’s Opportunity Zones through the Information Exchange. Click here for a list of task force members. Check back for more information on the Maryland Opportunity Zone Leadership Task Force regional summits and the State Opportunity Plan.